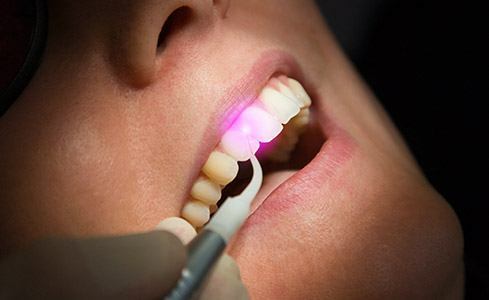 Lasers make a wide variety of dental treatments faster, easier, and more precise. Treatments for periodontal (gum) disease are often completed using dental lasers because they reduce the risk for infection, improve comfort, and accelerate healing time. 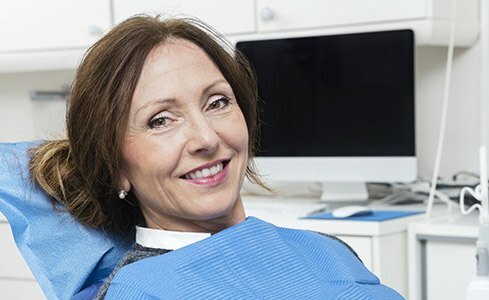 At LIC Dental Associates, we offer a wide range of therapies for patients suffering from periodontal disease and perio-implantitis (gum disease that affects implant supported restorations). Two of the most popular treatments are the Laser Assisted New Attachment Protocol (LANAP) and the Laser Assisted Perio-Implantitis Protocol (LAPIP). Both of these treatments allow our team to improve oral health quickly and comfortably. Call our Long Island City dental office to find out more or schedule a consultation with our team. Why Choose LIC Dental Associates for Laser Periodontal Therapy? The laser removes bacteria, plaque, tartar, and diseased gum tissue. The scaler removes plaque and tartar buildup on tooth roots and smooths the roots to prevent future buildup. Small amounts of supportive alveolar bone are broken down. A blood clot is created, the bone fragments are encased in the clot, and the gums are pushed back into place against the tooth. Any tooth damage or alignment issues are corrected. The stem cells from the tooth particles generate accelerated reattachment. The laser destroys bacteria, plaque, tartar, diseased tissue, and corroded metal. A small amount of alveolar bone tissue is broken down. The laser creates a fibrin blood clot that contains the small broken bone particles. The soft tissue is moved back into position against the implant. The tooth and implant post is adjusted to ideal positioning. New attachments are quickly regenerated by stem cells in the bone fragments, entering the soft tissue through the blood clot. Comfort – Before, during, and after treatment, laser gum therapy is more comfortable than the traditional scalpel and suture procedures. Reduced bleeding – During treatment, the lasers cauterize as they remove tissue, reducing bleeding and improving comfort. Decreased risk for infection – Because the laser treatment promotes reattachment and removes the need for stitches, patients are much less likely to experience infection following treatment. Accelerated healing – Without stitches or bleeding, the gums heal much more quickly, and patients return to their full oral health more quickly as well.